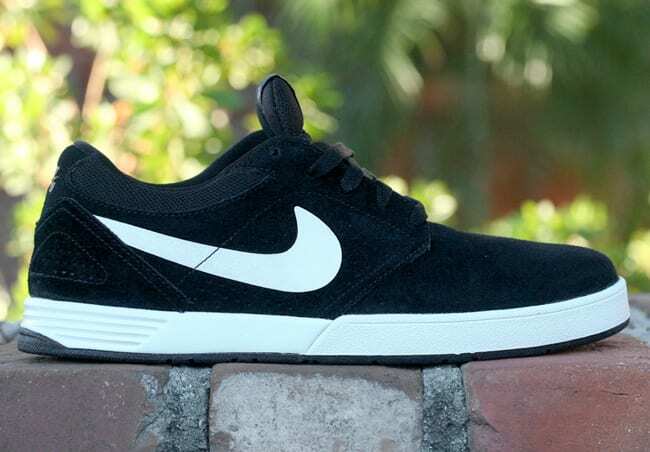 Kicks of the Day: Nike SB Paul Rodriguez 5 "Black/Varsity Red"
The crafty fifth-edition Nike SB for P-Rod has finally hit SB dealers, as we have a look at the "Black/Varsity Red" version. The upper is comprised of black suede, while white branding is present on the side and Varsity Red accents have been placed on the tongue and heel, implementing a nice pop-effect. The Swoosh&apos;s Lunarlon insert is also present in the heel to aid in cushion and comfort while hitting the streets. Definitely a dope shoe — pick up a pair today through Primitive for $$89.99.